When you've the strength in depth DCU have, you're only going to get better as the game goes on. A battling DIT side kept it into them in the early stages of this north Dublin derby in St Clare's, Glasnevin but when it came down to it, the home side stretched their legs and they took off into the night. Now Eoin Roche's side are into the Electric Ireland Fitzgibbon Cup semi-finals where they'll take on the competition's most successful ever team in UCC but on this evidence, not even the most daunting of challenges will faze this DCU outfit. DIT looked lively in the early stages with full forward Eoghan Dunne and his partner in crime Eamonn Dillon showing pace and power aplenty up top but DCU were far more clinical when the chances came their way. Westmeath's Killian Doyle got them on the board first with a finely-finished long-ranger after three minutes and that got them going. Wexford man Damien Reck, better known as a corner back, was flourishing in his role as a midfielder for DCU and his blistering run cut through the heart of the DIT defence on ten minutes. 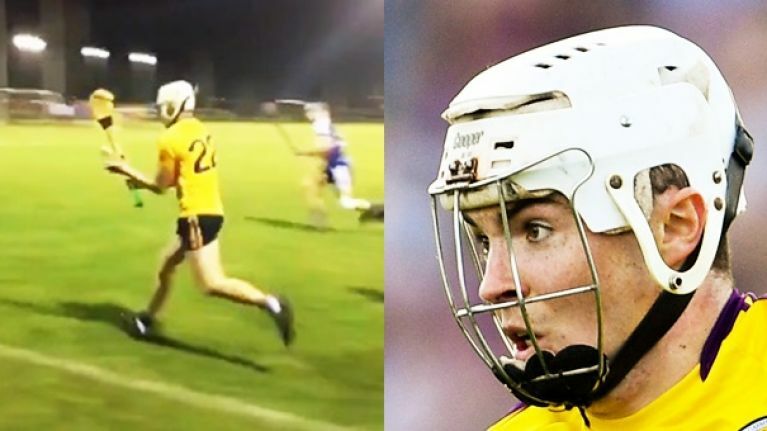 He shot for the corner, only for his effort to be brilliantly saved by Na Fianna club man Johnathan Treacy but Kilkenny's Sean Morrissey got in to flick home the rebound and DCU wouldn't look back from there. Centre forward Doyle pitched in with another trademark boomer from deep as Kilkenny's James Bergin began to make his presence felt on the top of the right. He settled the nerves with a point from play when the goal was on and by that stage, DIT's back-line looked in bother. A couple of frees from Eoghan Dunne and a brilliant hard earned score from the powerful Liam Blanchfield eased the pressure but it was only a temporary quick-fix because DCU weren't letting up. St Vincent's Rian McBride came thundering into the game with a long-ranger as the imposing half back line of Paudie Foley, Conor Delaney and Chris Crummie began to dominate. Donal Burke scored a fine solo goal then to further increase DCU's lead and though Eamonn Dillon bursted into life with two quickfire points for the away side, that was good as it would get for David Herity's men. DCU called on the cavalry in the second half and the five subs that came on just signify their impressive strength in depth. 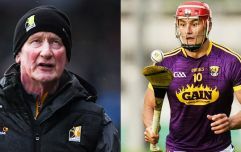 First it was Kilkenny senior Billy Ryan, he was followed on by Wexford pair Rory O'Connor and Aaron Maddock and then came the gifted John Donnelly and Dublin's Fionntan McGibb. "It's something that we definitely have this year, maybe other years we didn't have as strong a panel but this year we've 25 or 26 lads who are well capable of coming on and making a big difference...that's what it comes down to in Fitzgibbon hurling, the message to all the lads is to give it all you have for as long as you can because there's lads ready to come on for you then," commented centre back Paudie Foley to us after the game. And with the fresh legs on, DCU bolted for home. Wexford star Rory O'Connor made the biggest impact, his sideline special the score of the night. DCU will take fair beating. 15 Sean Morrissey (1-1, Bennettsbridge, Kilkenny). 15 Eamon Dillon (0-2, Naomh Finbara, Dublin).